WHITE PBT (polyester) topsheet material designed for dye sublimation printing of graphics. 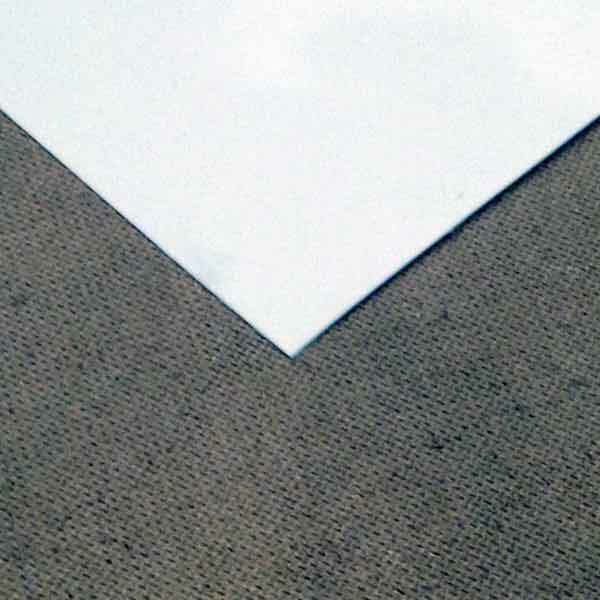 Topsheet can also be used as is, to create pure white skis or snowboards (see below). The topsheet material is ISOSPORT ICP 41xx VL Coex PBT foil with fleece backing. Graphics should be dye sublimation printed onto the smooth side (fleece free side). Fleece backing side is for bonding. Width: 13.19" (335 mm); Thickness: 0.24" (0.6 mm), and sold by the meter. 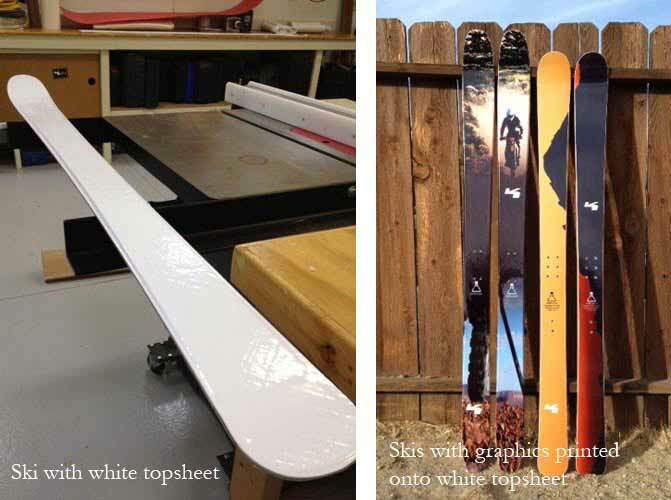 Example skis using the topsheet material: left is pure white topsheet and left shows two skis with graphics applied using dye sublimation printing process.